Last week, investors were all reminded of the news that the three most important purchasers of U.S. Treasuries are selling their extensive holdings, according to the latest data. What many investors and member of the public are unaware of is that now the Russians are also dumping their U.S. debt holdings to purchase gold instead. This is a startling and troubling development for the future of U.S. government finances. One day soon it will end badly for the U.S. economy if several other major buyers of United States' federal debt holdings do not emerge from the shadows somewhere and soon. This is only the latest reason for why gold makes sense in an IRA. The yellow metal has thousands of years of track record in protecting your retirement accounts. Time to review the top five gold coins for investors today and then take action by acquiring some IRA-approved precious metals of your own. It is ominous (but honestly not terribly surprising) that the Americans' arch-enemy the Russians are selling off their Treasuries' debt holdings as fast as they conceivably can. What is deeply disturbing is that the largest three holders of this greatest debt load in human history are also selling fairly aggressively. Consider the situation reported by the U.S. Department of the Treasury as we try to determine who is actually buying U.S. Treasuries these days. The Japanese sold $12.3 billion worth in April. China's supply of Treasuries declined by $5.8 billion. Finally, our own Federal Reserve has dropped around $70 billion of the crucial U.S. bonds since beginning the monetary and fiscal policy tightening regimen back in the fall. For the moment, institutional and individual investors have picked up the surplus debt slack, but this can not continue indefinitely. Now the Russians have seen the proverbial writing on the wall of Uncle Sam's public finances. They are trying to quickly exit their considerable stake in U.S. debt as quickly as they can manage. This minute but important detail has become lost or overlooked in all of the data on Treasury holdings the last few months. In fact, no one is selling their U.S. debt so fast and aggressively as the Russians, who pawned off almost half of their entire total in April alone. Yet the Russians are not selling because they are desperate for cash. They are swelling their foreign reserves (partly using U.S. debt proceeds) by investing them into gold. Consider for a moment that Moscow previously held $96.1 billion worth of Treasuries. This is not chump change. They sold off over $47 billion of this in just April. While it may not be a large percentage of the total market (especially as compared to Japan and China) it is still a worrying trend. Obviously Russia sees a pressing reason to cut all of their ties with the American economy (the world's largest one) in these actions. The Russians are not holding their cards particularly close to their vest with their foreign reserves data either. The Bank of Russia freely admitted that they have been adding to their gold cache aggressively at the same time as they flush away their Treasuries. The central bank announced last week that their gold holdings grew by a significant one percent to 62 million ounces over the course of May. In fact, the Russians have not been shy about picking up the yellow ultimate safe haven metal over the last several consecutive years. They have now purchased gold on a net basis each month dating back to March of 2015 in a desperate bid to diversify away from the U.S. dollar with their foreign currency reserves and international dependence. The World Gold Council states that the Russians have boosted their gold reserves by 224 tons over the course of 2017. It marks their third year in a row where they added over 200 metric tons of the kingpin precious metal. Just this February, Moscow blew past China to secure the coveted slot of fifth biggest national holder of gold. If only Russia were going solo in this economic order-upending policy shift. Instead, there is a newly emerging so-called “Axis of Gold” a group of nations are embracing to have a viable counterweight to the American dollar. Included in this growing list of disruptive states are China, Iran, Russia, Turkey, and Venezuela. Five countries may not seem like so much, yet between them they have the potential to significantly undercut the long-standing dominance of the dollar in international trade, finance, and global economics. The West has successfully been able to block enemy nations from utilizing the dollar system, but it has precious little ability to interfere with their gold-based transactions. This is largely because gold trade is physical and tangible as opposed to digital numbers on a computer screen. It can not be electronically seized or diverted or frozen by international banks. Gold can also be discreetly transacted for anonymity, and it realistically can not be traced. While Ergodan and his international compatriots may not be able to singlehandedly revive the bygone era of gold transactions globally, they can and are dumping their U.S. Treasuries in exchange for gold personally. If China, Japan, and more countries besides these start really cutting down on their Treasury assets, international global equities markets could get seriously volatile and top-heavy in a hurry. The U.S. Treasuries supply has rarely been higher. At this time, the federal government needs more buyers of the debt, and certainly not fewer ones. Remember that the benchmark Treasuries yields are closely tied to stocks and most other types of assets. When the yield rise, stock values commonly decline (and often steeply). As go Treasuries, so go the other assets that make up the vast majority of your retirement portfolio. 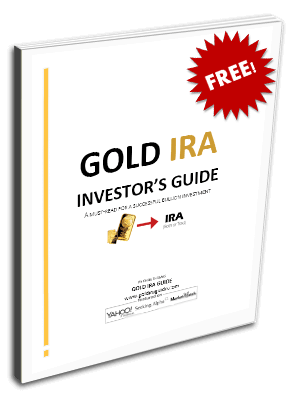 Now is the time to acquire a significant quantity of IRA-approved gold while you still can. You can buy gold in monthly installments now to help with cost averaging of your new hoard.